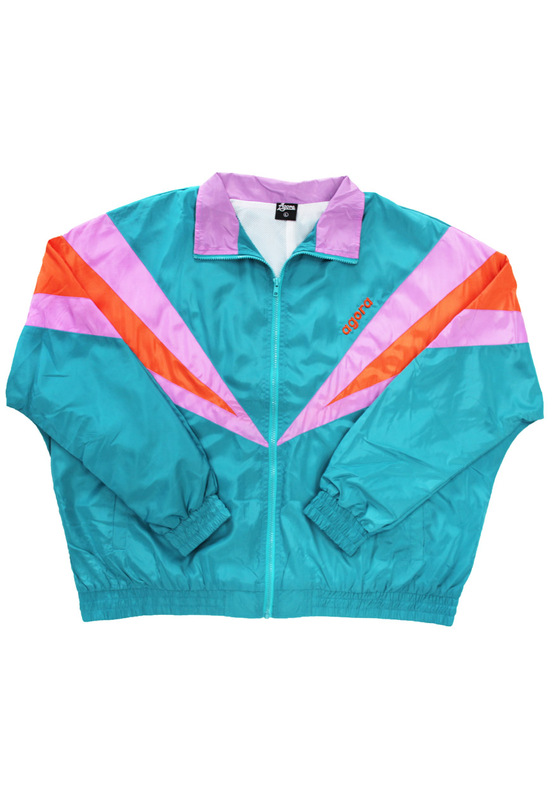 Agora Vantage Windbreaker in multi-colours. Lightweight poly jacket with mesh lining. Boxy, 90s style retro fit.